I help entrepreneurs, influencers and experts live with mastery & build businesses that change the world. The perfect (and quite necessary) blend of personal and professional strategy. You're capable of more. I'll show you how. A 30 Day Training & Accountability Program for Creators Ready To Get Unstuck and Step Into A Higher Level of Personal & Professional Leadership. 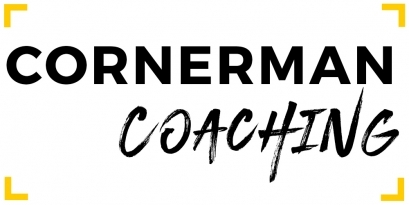 As a coach, advisor and strategist, I help entrepreneurs breakthrough to new levels of achievement and fulfillment through mind-body training and strategic development. You're capable of more... I'm here to show you how. This world is begging for you to live in your truest form, to let your light shine and to let your heart leave it's mark in the lives of everyone you meet. A weekly interview show with the world's top thinkers. Designed to help you bring out your best... and keep it out. I help online entrepreneurs own their gifts, step into their power, elevate their performance, master their mindset, simplify their business, reduce overwhelm, increase confidence, cut out stress, end self sabotage, deepen relationships, get more done in less time, experience deep fulfillment, raise their prices, create more clients, automate their systems, hack their habits, increase their energy and maximize their health. No Joke... I work with leaders who are ready to go ALL IN and create permanent gains in their life, business, health & relationships. "Nathaniel is one of the most caring and cut-through-the-BS coaches for coaches that I know. 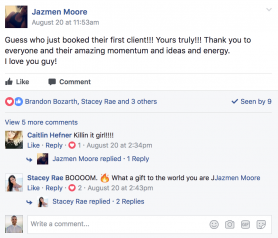 He took a stand for me to ask for the amount from clients that is representative of the value of the life transforming work that I do with people, and within two weeks I received $5000 from a new client who recognized the value too. 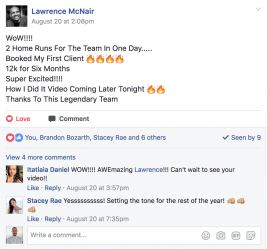 "After just a few hours of coaching, Nathaniel’s strategic guidance and empowering support generated $10,000 of revenue into my business in a 6 hour period! (plus another $3,500 from 2 emails). He is such a supportive, visionary presence in my life, taking the fear and anxiety out of the process of scaling my business. He's my trusted advisor and coach because of his ability to get me instantly focused, clear, inspired and motivated! "Nathaniel has a very unique way of teaching that makes you feel safe and understood, especially when you are discussing topics that are untouched and rarely unearthed. He has the ability to explain things in such a way that implementing practices comes with ease and feels authentically true and aligned with your goals. Working with him has offered me mindset shifts that I know will drastically change the trajectory of my future and has influenced and impacted me greatly. A true light and blessing." "His unique energy and immensely effective methodology helped me build the foundation for my own upliftment, freedom and empowerment. There's something about his VIBE that inspires a sense of clarity, strength and serenity about life. He has effectively guided me from building a strong foundation in my lifestyle and emotions to building a strong foundation in my business. He persists as an ally and friend, working and growing mutually. Nathaniel is the real deal. Working with him has been a truly extraordinary experience, bringing real, tangible results in Quality of Life, Productivity, Spirituality and Business. "I met Nathaniel at a retreat he was co-facilitating and I was instantly drawn to him. Within minutes of meeting him, I knew he was someone I wanted supporting me on my journey. 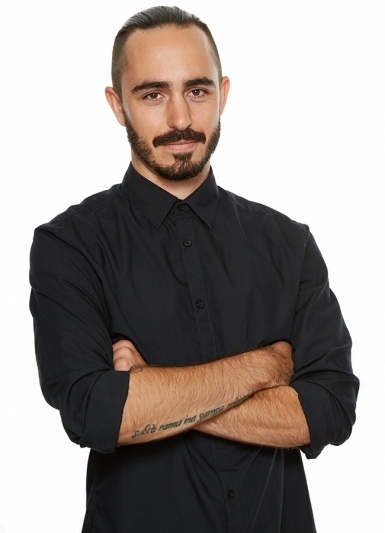 Nathaniel is incredibly knowledgeable and has a gift of breaking down seemingly complex ideas and making them practical and applicable to both your professional and personal life. Within two days of working with Nathaniel, I stepped out of my comfort zone and put myself out there more than I had in the past 6 months. Nathaniel is someone who you want in your corner because I know first hand that he will change your life." 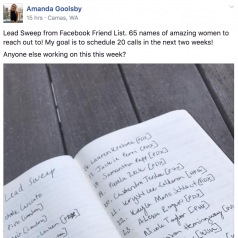 65 Leads in 2 Hours! "Working with Nathaniel has been life changing. In the 5 months we’ve worked together Nathaniel has helped me transform all aspects of my life and business. He has helped me completely shift my mindset, gain clarity on my vision, create high end packages, more than triple my prices, book dream clients consistently, and take massive aligned action. He was able to take my vision and break it down into easy actionable steps to create massive results creating over $25,000 in less than 4 months. He is truly a blessing, he provides so much love and support to motivate and empower you to step out of your comfort zone and step into your fullest power. When you work with Nathaniel, you realize how hard you make things. He really has got a knack and super power for bringing a super grounded and easy approach to just about anything. His energy is like nothing else. It’s infectious and it just pulls you in. The container he creates for his clients is one that is honestly just magic. It feels safe. It is empowering. It’s easy. It feels okay to be you, even if it’s messy and unhinged. The most important results that I created while supported by him are honestly mostly immeasurable. What I know is that slowly but surely I woke up each day with the confidence that all my pursuits could and are easy when I believe it to be true. I began to navigate conversations with clients in a much more expansive manner (which ultimately led to them hiring me). I created new habits that supported me and dropped some of the most sabotaging ones. I woke up feeling activated, powerful, and aware of my gifts. It doesn’t get better than that. If you’ve been looking for the grounded approach to both finding and operating in your light - you’ve found him. AND. IT GET’S TO BE EASY.